*** If you are looking for the Lollipop Crafts Blogavery post, please CLICK HERE. We're celebrating movies today with a fun blog hop hosted by Gill. You should have arrived here from Liz' blog. If you are just joining us and wish to start from the beginning, please start HERE. Today, we are sharing projects inspired by movies. One of my teenager's favorite movies of all time is "The Nightmare Before Christmas". She just LOVES anything to do with Jack Skellington whether it's clothing, bags, etc ... She even has a full-sized Jack Skellington in her bedroom! 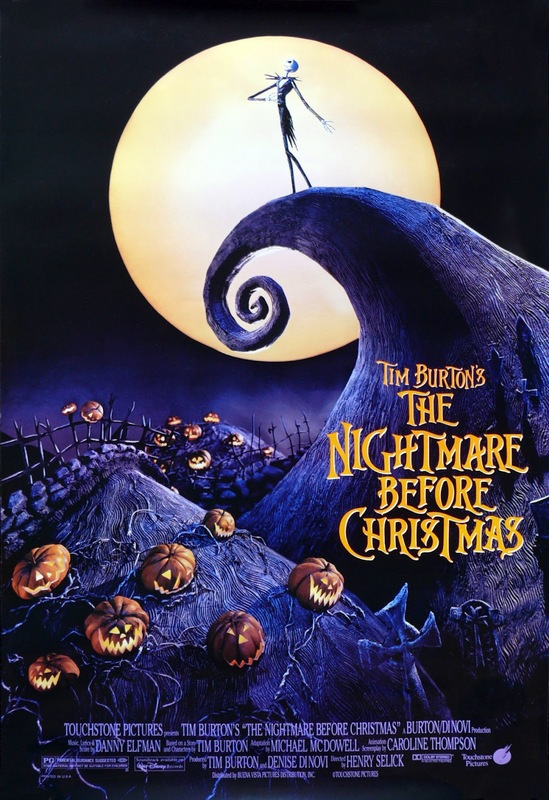 She really digs Tim Burton's style and must see every single one of his movies. I knew right away that I would have to make a card tied in to this movie for this hop. 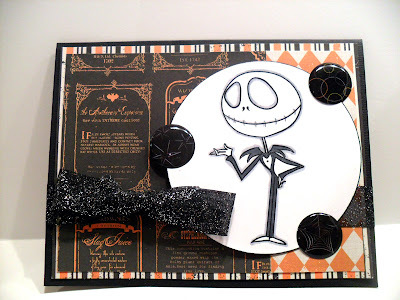 My card features a digi image of the Pumpkin King himself - Jack Skellington! You can find the digi at Simply B Stamps. I used Echo Park's Apothecary Emporium paper and some ribbon and stickers from my stash. The digi was inked with Copics. Thanks for coming by. Please hop on over to Katherine's blog next to check out her lovely creation. If you get lost along the way, please refer to the blog hop lineup below. Have a great day! super dooper fabby card Dena, love it. Could you possibly take down the bit about the sponsorship as im no long on the SSS DT therefore they arent sponsoring it anymore. thanks for taking time to hop with us. Great card design. Love that movie too. I love your card! My boys would love it if I made a card like that for them! I have never ever seen the movie, and now I totally want to. I think I will have a movie night tonight with my boys and watch it!!! Thank you for the fun and the inspiration!